Bosch eBike Systems offers a comprehensive portfolio for pedelecs – everything from highly efficient drive units containing the motor and gear set to premium-quality batteries and intuitively operated, smart on-board and bicycle computers. This product range and division, established in 2009 as a start-up within the Bosch Group, were able to draw on and pool some essential know-how from the Group: the rechargeable batter technology from wireless power tools as well as electric motors, electronics and sensors from the automotive industry. Today, Bosch eBike Systems counts among the leading manufacturers of eBike drive systems within the premium segment. Over 70 renowned bike brands worldwide trust "epowered by Bosch" components, which are meanwhile providing eBike riding enjoyment worldwide. Since 2014, the company has been strengthening its presence with its own branch offices in the North American market and in Asia. Offering innovative products and solutions, Bosch eBike Systems is shaping the bicycle market where networking, too, is playing an increasingly decisive role. The acquisition of COBI.Bike GmbH in 2017 marked a major milestone, expanding Bosch eBike Systems' portfolio in the field of connected products and services. The driving force behind the successful development of this product range and division is our proven, sophisticated eBike drive system. All components from Bosch eBike Systems fit ideally together and function as a whole in perfect coordination, creating a synergised ensemble that maximises efficiency, convenience, comfort and riding pleasure. The drive units from Bosch eBike Systems lend a particularly natural riding sensation. Three sensors measure the rider's pedalling force, cadence and speed over 1,000 times per second. This facilitates optimum interplay between rider and eBike. With our drive series Active Line, Active Line Plus, Performance Line, and Performance Line CX, Bosch offers eBikers the ideal motor for every riding situation – from relaxed cruising through cityscapes to athletic application on off-road tracks. Whether for long-distance touring or the daily ride to work – Bosch has the fitting battery to meet any requirements. The PowerPacks 300, 400 and 500 are available in frame or rack variants, while the PowerTube 500 can be form-fit integrated by your eBike manufacturer into the bike frame. By combining two rechargeable batteries, DualBattery permits an energy content of up to 1,000 watt hours. All lithium-ion batteries from Bosch are low-weight in design and feature high energy density and long service life. The intelligent Battery Management System (BMS) from Bosch protects your rechargeable batteries against excessively high temperatures, overcharging and deep discharge. The various Bosch on-board computers offer eBikers precisely the information and support that they need. 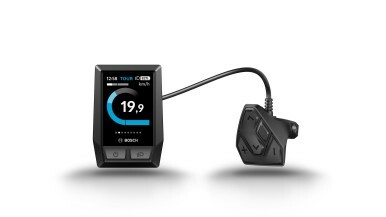 This starts by clearly displaying the key riding data, and ranges through to bike-optimized route calculation custom-tailored to your eBike. While the information presented on the analogue Purion and Intuvia displays is minimised to the essentials, Nyon and Kiox open the door to the "colourful" online world – so that connected eBikers have now become reality. With COBI.Bike, Bosch eBike Systems offers customers the option of choosing between on-board computers and smartphone-based solutions. 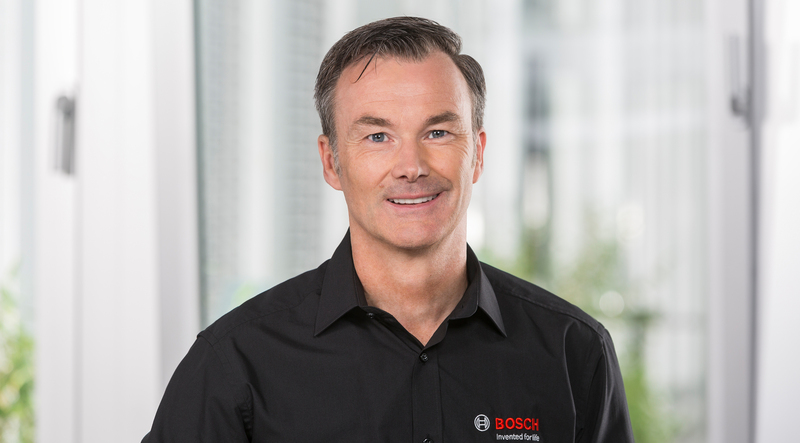 Claus Fleischer has been CEO of Bosch eBike Systems since July 2012. 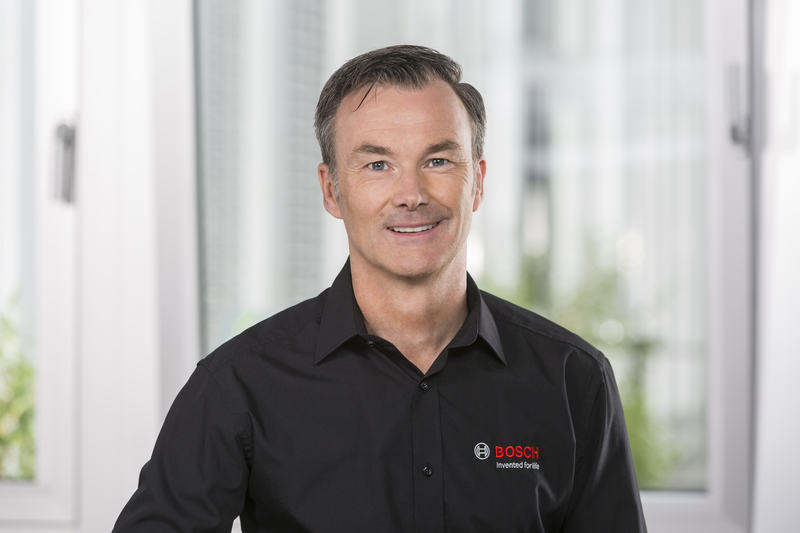 The trained mechanical engineer has over twenty years of experience at the Bosch Group in Germany and abroad. For three years, from the start of 2007 until the end of 2009, he headed development work on brake systems at Bosch in Farmington Hills, Michigan in the United States. He then served at company headquarters at the Stuttgart-Schillerhöhe location as assistant to the Chairman of the Board of Management of Bosch Group, responsible for technical affairs for corporate planning. Fleischer is an enthusiastic mountain biker and road racing rider, and is passionate about alpine sports. A new generation of bikes is taking town and country by storm and is already a part of everyday life. eBikes are a modern means of transport for modern people: people in a hurry and people who prefer to take it easy, the fit and the comfort lovers, commuters and pleasure cyclists and, of course, young and old. The tailwind of technology-leading eBikes made by what are already more than 70 leading brands in Europe is powered by components that Bosch is developing to perfection. 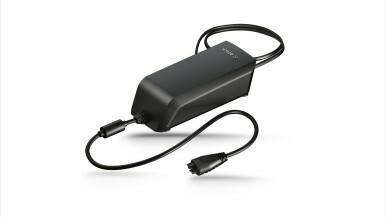 The Bosch portfolio ranges from the highly efficient drive unit (motor and gearbox) and high-quality batteries to a smart on-board and cycle computer that can be used intuitively. Perfect coordination of components holds the key to typical Bosch performance in terms of both comfort and efficiency. Like other Bosch products, the eBike systems benefit from the Bosch Group’s technology and production know-how. From conception and engineering to manufacturing, marketing and after-sales service, Bosch eBike Systems constantly set new standards for the eBike industry. The Bosch Group’s experience in the areas of electric motors, sensor technology, displays and lithium-ion batteries ensures that Bosch eBike systems use technology that is invented for life and that eBike users have their fun.